Since 1972, Michael Crystal has been actively engaged in helping leaders and their organizations perform better. He has spent time in corporate roles ranging from administrative assistant to vice president. He has managed businesses and led people. He has been an employee and an employer. He has been an entrepreneur and an intrapreneur, as well as an advisor, consultant, coach and facilitator. Michael has authored more than 25 training programs offering skill development in communicating, selling, servicing, negotiating, coaching, teaming, managing and leading. He has presented at conferences and symposiums, lectured at executive education programs and taught at the graduate level. Michael has been formally educated in virtually all the social sciences, and schooled by notable academics including Edgar Schein, Warren Bennis, Warner Burke and John Kotter. 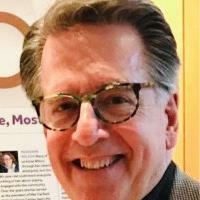 He has extensive experience with a wide array of assessments and instruments including: Social Style/DiSC; Lominger Voices 360; the Conflict Dynamics Profile; the Hogan Suite (Personality Inventory, Development Survey, Motives, Values & Preferences Inventory); FIRO-B; the Clark Wilson Group's Task Cycle Surveys (Management, Leadership,Executive, Team & Individual Contributor). (1) Play to their respective strengths, utilizing those as the rationale for any decision you have to make. (2) If possible, toss the situation into their laps and allow them to develop a solution to present to you. (3) Ask each of them what they would do if they had to make this decision.